Yesterday as part of our Highlights series at MKCC we showed some video teaching by Louie Giglio. It was titled "How great is our God". It really is an amazing message. Judging by comments after each service and the vibe on facebook the rest of the day. The message messed people up well and Good and gave us a better perspective on the awesome God that we serve. "Lord of all being throned afar, Thy glory flames from sun & star, Centre & soul of even sphere, yet to each loving heart how near." 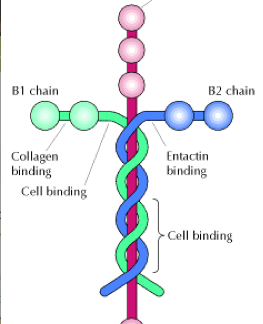 Here is a little snippet of Louie talking about Laminin the stuff that holds us all together. Oh and one last thing yesterday at MKCC showed me yet again that video teaching works in church yes even in England! It is never the medium it is always the message!